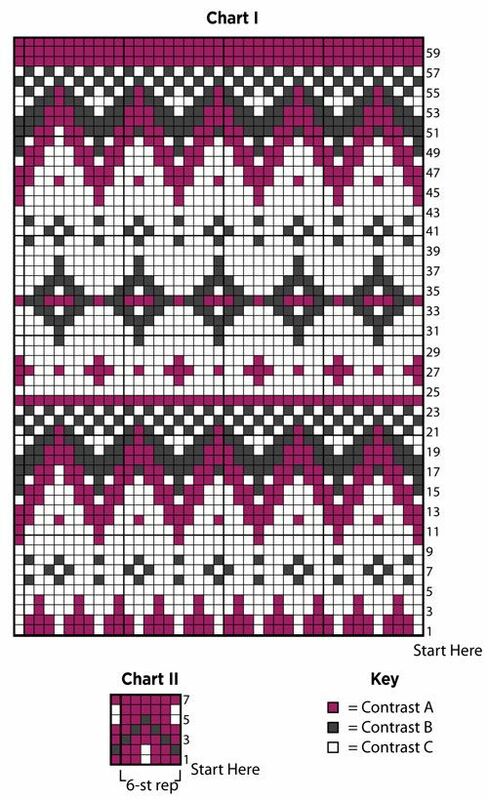 Today, we’ll discuss how you knit with multiples colors for stranded (sometimes called fair isle) knitting, including carrying your yarn without making a mess of it. In the next post I’ll talk about keeping even tension and making the work look nice. Whether you knit vintage or not, the concept is still the same.... 29/11/2011 · In this episode (6.3), one of the techniques in Fair Isle knitting called "weaving in" is shown (on a knit row). Weaving in can be done with either right or left yarn. 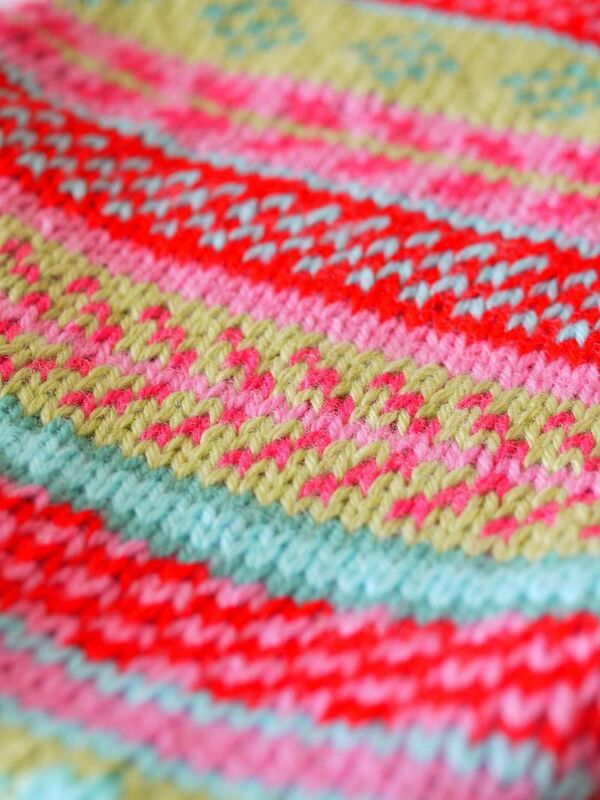 The new year is the perfect time to learn a new skill, and colorwork is a great place to start. Fair Isle knitting, also known as stranded knitting, is my favorite technique for adding colorwork to a project. With this technique, you carry your unworked yarn behind your working yarn to create floats... 5/08/2018 · This summer I knit in Fair Isle style for the first time. I used to be intimidated by the pattern intricacies, but am so happy I tried this knitting style. Due to the nature of Fair Isle knitting, it is easier to work in the round, which allows one to knit all rounds to achieve stockinette stitch (rather than needing to knit one row and purl the next, as when working stockinette stitch flat). Fair Isle Knitting Book It is thirty years since my Fair Isle Knitting book was first published. I increasingly find that measuring the passage of time becomes an exercise in disbelief. When you’ve finished knitting all your Fair Isle pieces before you sew them up, give each piece a gentle press. Your yarn label will carry recommended pressing instructions so it’s always best to follow what it says. If unsure, just pin out your finished pieces to their intended size and lay a damp cloth over the top to dry. This is a more gentle way to press your knits. Fair Isle knitting, which also known more accurately as stranded knitting, is a technique for working two (or more) colours of yarn in the same row. The colour changes in Fair Isle are close together, as this allows you to simply carry the yarn you aren’t knitting with across the back of the piece as you go.